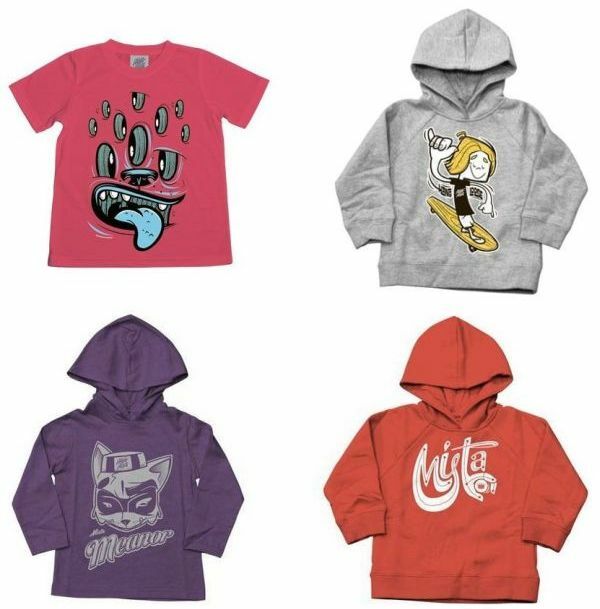 We’re big Mister Mista fans here at Babyology and it’s not hard to see why – they keep creating really cool stuff. There are tonnes of new designs in Mister Mista’s brand new winter range, known simply as Series 4 and although the collection won’t be officially launched until Kids Instyle in Sydney next week, Mister Mista is giving Babyology readers a sneak preview. Mister Mista t-shirts are back in eight new designs and more colours. The long sleeve t-shirt hoodies will be a winter winner for active boys (you know the type – they usually want to wear shorts and t-shirts all year round!). 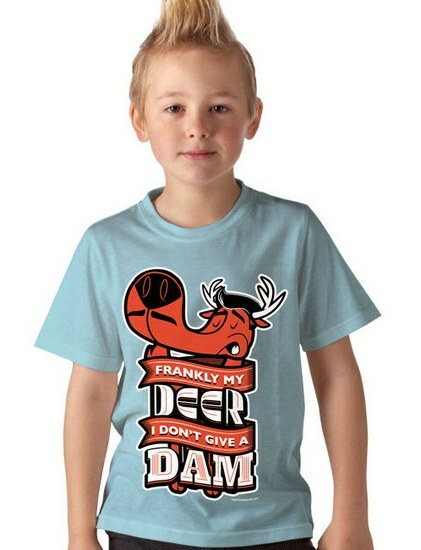 The designs are a clever mix of surf, skate and retro influences with a twist of humour – don’t miss the Frankly My Deer and Hip Hop Robot prints. Carry Mister Mista cool over to your decor. 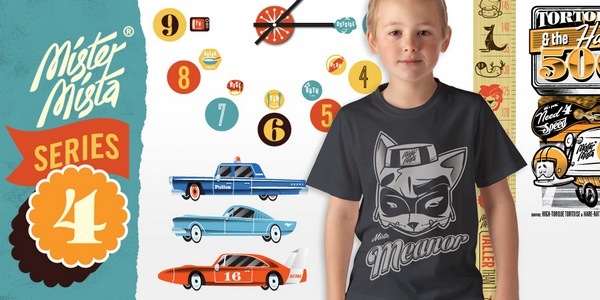 Mister Mista have once again teamed up with wall decal masters Chocovenyl to create a stunning range of retro-Route 66-inspired wall stickers as well as a new growth chart. My very favourite piece in the Series 4 collection is the Time 2 Wall Decal Clock. Look closely at the clock and you will see that it is time for a bath or time for tea – it will put an end to those “When is it time for lunch?” type questions! Lastly, because we know the clever team at Mister Mista are unlikely to blow their own horn, we’ll do it for them. Mister Mista recently scooped some awards at the 2010 Illustrator Australia Awards plus their designs will be appearing soon in a children’s television series, Me and My Monsters – well done guys! T-shirts are $39.95, long sleeve t-shirt hoodies are $47.95 and fleece hoodies are $59.95. 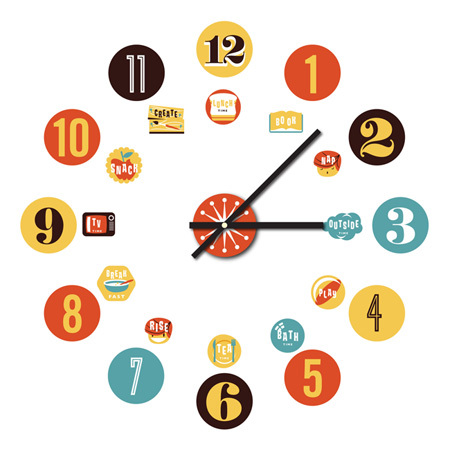 Wall decals begin at $96 and the fabulous Time 2 clock is $94.95. 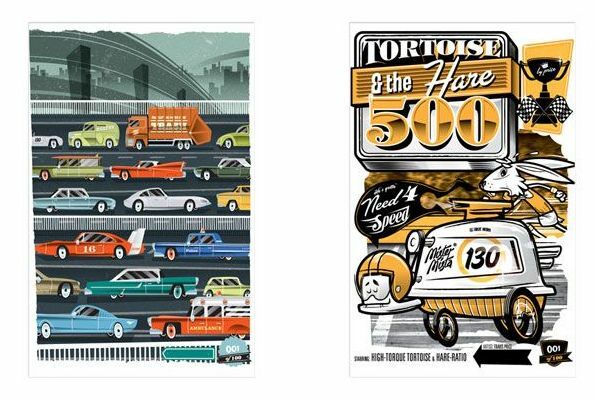 Mister Mista’s limited edition prints begin at $64.95. Find your nearest Mister Mista stockist here.